Hello everyone, I am Lu. Today I share with you a famous dish in Shanghai, China: Fragrant Garlic Ribs. 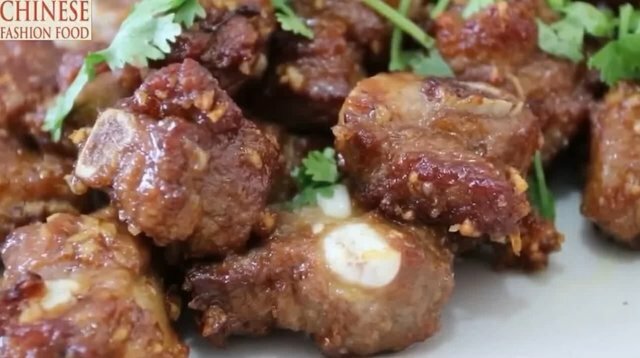 Fragrant garlic ribs is a delicious and delicious local place dish in Shanghai, It is famous in China for its rich garlic flavor and tender taste. 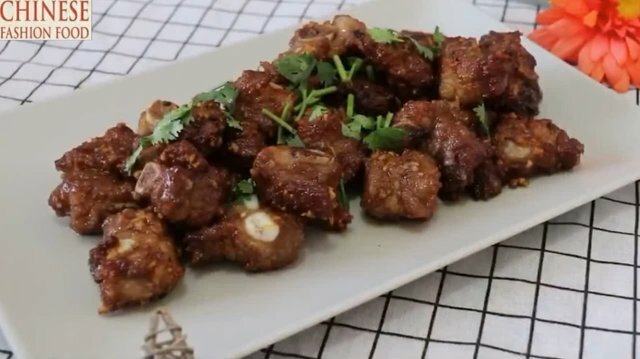 Fragrant garlic ribs This dish has a high nutritional value.,Pork ribs are rich in high-quality protein and essential fatty acids, and provide heme (organic iron) and cysteine that promotes iron absorption, which can improve iron deficiency anemia. It has the functions of nourishing kidney and nourishing blood, nourishing yin and moistening Especially garlic, it also has the effect of regulating human insulin,anticancer , inhibiting cancer, reducing blood lipids, preventing blood clots, delaying aging, and preventing lead poisoning. Although this dish is delicious, it is not recommended for obese people and high blood lipids The crowd eats. 1: pork ribs (500 g); 2: garlic (40 g); 3: potato starch (15 g); 4: cooking wine (4 g); 5: salt (6 g); 7: white pepper (3 g); 8: oyster sauce (6 g); 9: soy sauce (2 g); 10: white sugar (10 g); 11: vegetable oil (450 ml). 4: Pour the vegetable oil into the pot and heat it to 80%, then add the marinated ribs and fry for 4-6 minutes. 3: The time for frying pork ribs should be determined according to the actual situation, I suggest that you can taste it thoroughly after 4 minutes of frying. Since I am a newcomer (small shrimp), my steem has very little bandwidth energy, so there is a limit to the number of images that can be shared. I made the cooking process of making each dish into a video sharing, The video contains the entire cooking process and text,You can refer to the video cooking. Please understand my difficulties. If you like what I share, please follow me and support me. I will continue to update more about Chinese food, Chinese landscape and Chinese history. If you have any suggestions for the content I have shared, please leave a message to me, I will pay attention to your valuable suggestions and timely revision, thank you everyone. This is great - so tender and a good, simple flavor.